Walk a section of the Cami de Cavalls from Son Bou to Cala'n Porter. 1, One or two places are a steep climb up and down. 2, It is 5-6 miles in total, some of it quite hard going so leave yourself plenty of time. 3, In high summer there is no or very little shade, a shady sun hat is recommended. Starting on the road behind the Royal Son Bou hotel follow the blue route on the map, the first marker post is clearly visible. 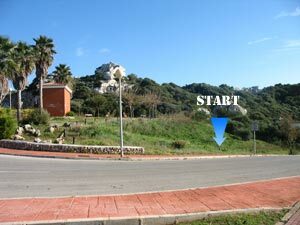 the first section takes you up the hillside, over into the barranc and down to Cala Llucalari, a small rocky beach [1.2Km approx]. At the beach turn east and follow the path up another barranc, climbing steadily higher and out onto the level ground. Both these barranc's are quite stunning with their towering and rocky limestone walls, the bottom of the barranc's are littered with large bolder's. Athe end of the track turn right at the Casita, up the drive over a small river and onto a tarmac road, the path then takes a right and follows the side of the barranc for [0.5Km Approx] before you have to climb up the side and over the top before once more descending into the barranc. 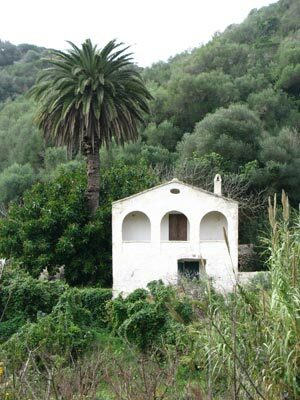 [At the time of writing there are three walled terraces to climb down] From here it's an easy walk [1.0Km approx] following the side of the barranc down to Cala'n porter beach. An alternate circular route taking in Torre del Gaumes for those who don't want to go all the way to Cala'n Porter is marked on the map by the yellow route [6.5 Km Approx]. 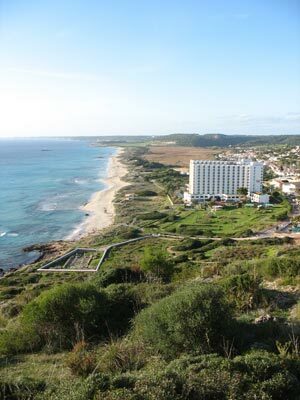 Starting from Son Bou, the first marker post. Towering scenery that most people don't see. 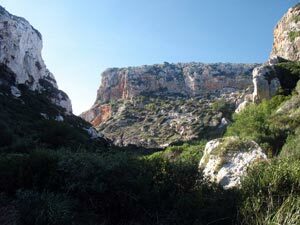 Breathtaking views on the Cami de Cavalls.